After 8 years, the producing collaborative Harlem9 has played to packed houses, picking up an OBIE award along the way in 2014. 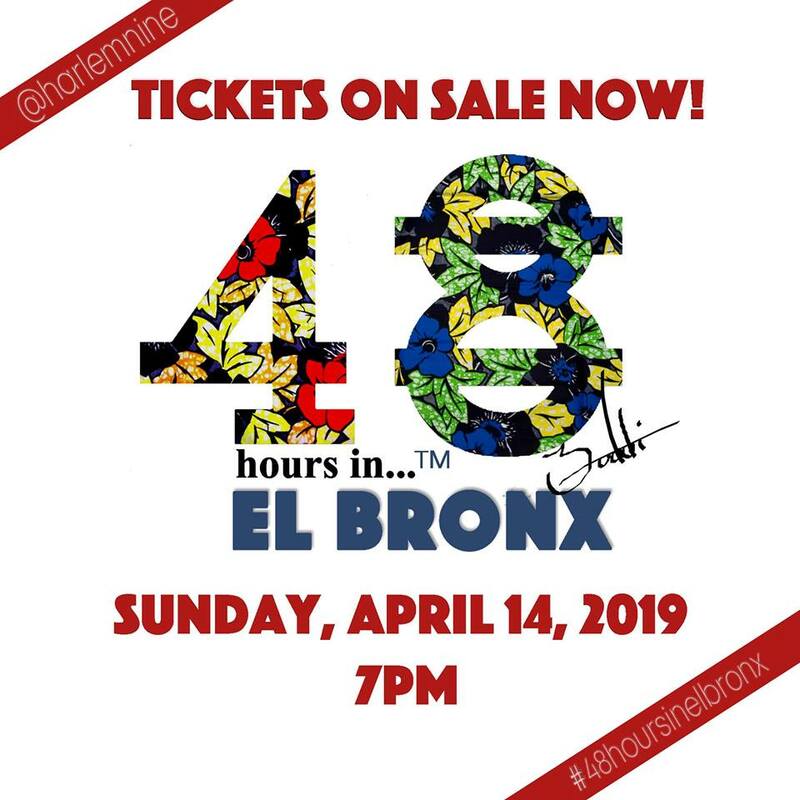 This April, Harlem9 collaborates with Pregones Theater PRTT, a Latino arts organization in the Bronx for the 3rd time to present “48HOURS IN…™ EL BRONX”. The two organizations first collaborated in December 2016 and again in April of 2018. Harlem9 is an arts organization comprised of 6 producing entities that have come together in Harlem to explore the past, present and future of black culture and celebrate the rich history of storytelling within the African Diaspora. Garlia Cornelia Jones-Ly, Bryan E. Glover, E. Michael Lockley, Jonathan McCrory, and Liberation Theatre Company (Sandra A. Daley-Sharif and Spencer Scott Barros) are the producers that comprise Harlem9.